Hello from Natalie and Gil. 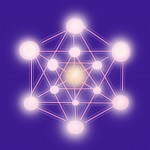 We are positive thinkers, visionary artists, and Reiki Masters/Teachers. On this page are services and gifts we offer, to raise funds for our Humanity Appeal. We are all Humans and we all share the same world. [Learn more about Chakras, click here] Meditations, working on the Chakras, in which we will visualise the Earth cleansing itself off debris and retaining a balance and peacefulness. Our thoughts and emotions are energy in a pure form, and the power of the mind is such that an intense thought in one place may trigger life changing reaction in another. A group of people sending compassion and positive visualisation may help thousands in needs. Purchase a past-lives portrait of yourself or family members, to see how you may have looked in different periods of time. Email us your photos and we will produce your drawing. 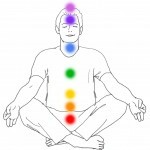 Did you know that the popular Reiki Technique to utilise the ‘Chi’ energy originated in Japan? We now offer relaxation Reiki healing in soothing sessions to relieve daily stress, anxieties or worries. With Reiki Masters/Teachers Natalie and Gil. You can also buy a distant healing for someone who lives away. Do you have a personal or professional issue and want some clarity and advice? Send us your questions, and we will be guided intuitively (also known as ‘psychic reading’) to help you receive clarifications. You will receive your reading by email or letter (pls specify). Learn to ‘look inside’ and see the hidden treasures you posses, in this art-workshop with facilitator Gil. We will follow a gentle inner visualisation, and will then draw or write what we see within. Minimum group of five. – Nepal Earthquake Appeal, 2015 – via British Red Cross. – Japan tsunami Appeal, 2011. Last update 4 Jan 2015.